There's nothing worse than thinking you've found the perfect present for someone you love, and then watching it sit on a shelf for the next two years. All that effort, wasted *sigh*. So when searching for something they'll really want to use, it's wise to think about their hobbies - what do they love doing? What have they got planned for the future? What won't they shut up about right now? Our favourite kind of people (and we might be biased here) are travel lovers and, quite frankly, there's a million gifts out there that they might love. But whether you're a super prepared Black Friday shopper or a leave-it-to-the-last-minute kind of soul, here's how to give a gift that any travel lover will really want to keep forever. Part memory book, part scrapbook, a travel journal is the gift that will keep on giving long into the future. There are so many options on the market that there's bound to be something to suit every taste - we love this eco-friendly yellow design from The Journal Shop, these recycled leather ones from Central Crafts, or for something a bit posher, an envelope-style luxury leather journal from the famous Aspinal of London. For an extra personal touch, have it embossed with their initials. Whichever one you choose, be sure to kick it off by writing your own special message to them on the first page. Everyone has a favourite place in the whole wide world, so why not cast theirs in gold? 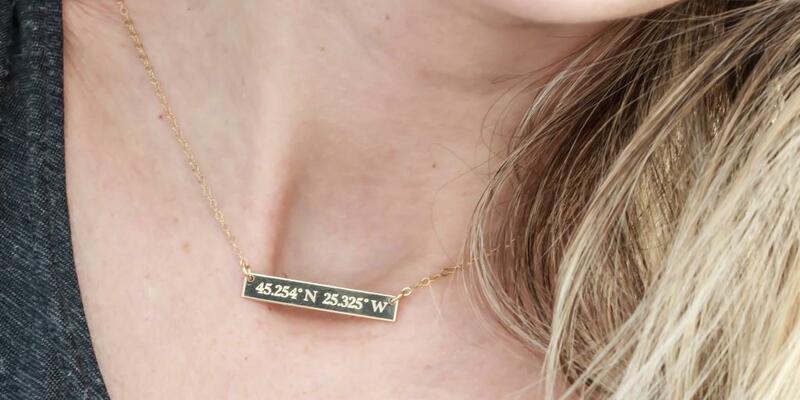 Whether it's the peak of the Swiss mountain that you got engaged on, the city in which their favourite road trip ended or the Thai beach that blew their mind, these cute necklaces from BeautizJewelry are sure to win hearts, and are surprisingly affordable too. And here's an even better idea - if you're surprising someone with a trip then ditch the plane-ticket-in-a-card delivery, hand them one of these, and let them figure out where they're heading to themselves! Traditionally X marks the spot, but these necklaces go one better. 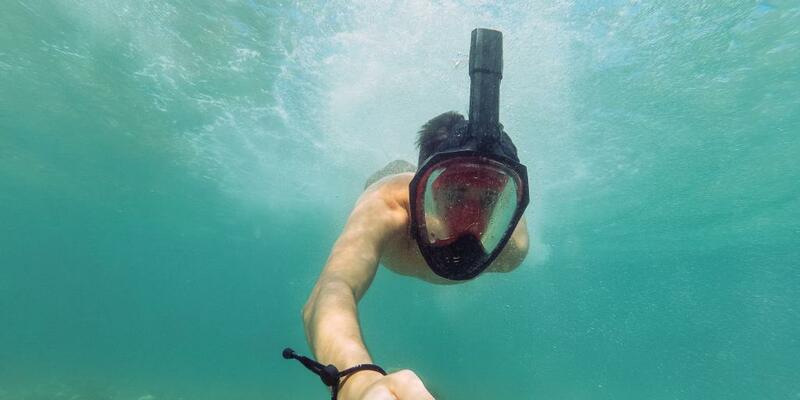 If you really want to up your gift giving game, then a GoPro may be the way to go pro; from swimming with sharks to camel trekking through the Sahara, this tiny wearable camera allows users to record their antics in superb clarity. We can only apologise if they bore you with all of their holiday videos when they get home - but then, this camera is made for adventure, so it shouldn't be too unbearable. As the ultimate in on-the-road relaxation, a fold up hammock is both delightfully practical and, as basically a bed in a bag, a little bit hedonistic. So when we saw one from Hummingbird Hammocks that weighs less than a lemon, folds up into a bag smaller than a coffee cup, can hold up to 300lbs and comes in a range of colours, we were sold. Our tip? 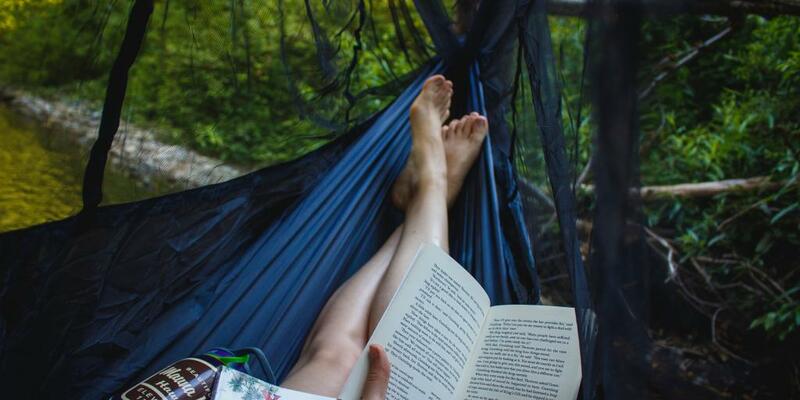 Team the hammock with a book you think they'll love and a travel cafetiere (scroll down to see what we mean) so that they can have the all-round hammock experience. Forget travel adaptors or portable washing lines, because this nifty number will, undoubtedly, become any travel lover's most useful ally. Staying in a slightly suspect hostel bed for the night? Help shield them from those questionable sheets. Need to get changed on a bus? Here's their dignity saviour. Know they're going to want a mini-cocoon to hide from the rest of the world in? Go ahead and give them one. Each kind of material has its own pros, but silk liners tend to be lighter, dry quicker and a lot comfier than others, so are probably the best choice. Okay so it's not the most glamorous gift in the world, but it's a cheap one that they'll thank you for later. You probably know already that most keen travellers tend to love telling people their wildest travel stories, and these funky wall art route maps make for the perfect conversation starter. 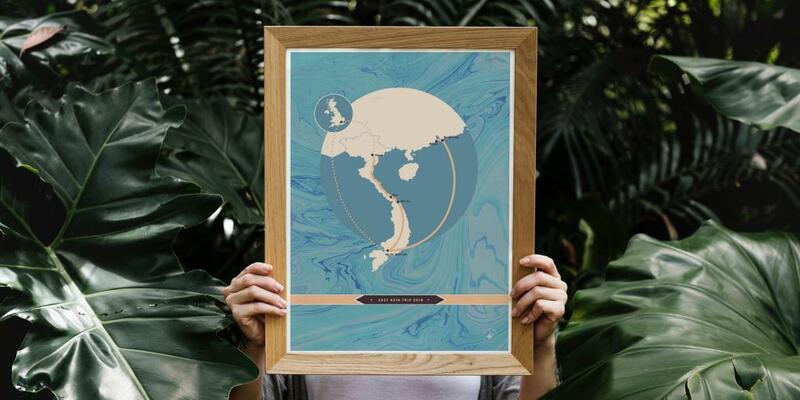 Custom made to order from Hip My Trip, you simply choose a design and a country, region or state, specify your route and your message, and hey presto, you've got yourself a map that doubles up as wall art! For people that prefer to travel on their feet - for say, 26.2 miles - they also make marathon posters too. For every order made Hip my Trip plant one tree, so you can feel like you're giving a gift to the world too. There's nothing better than sitting in a cosy pub on a chilly night, sipping a pint over a competitive game of [insert your favourite board game here]. But when you're on the road, carrying a Monopoly board just isn't practical - and that's where Pocket Golf comes in. Played using colourful dice, each representing a different club, the aim of the game is to keep your score as low as possible, just like the real thing. It's the perfect stocking filler for the sports-mad travel fan, and a handy time-passer for anyone unlucky enough to find themselves broken down and awaiting rescue while road tripping. 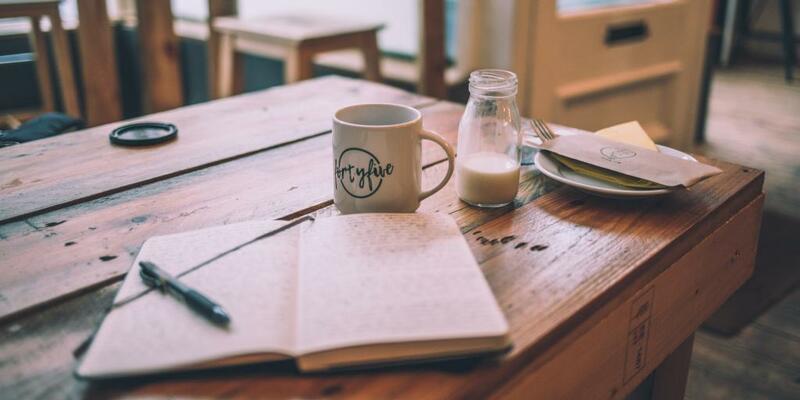 While there are many places in the world where excellent coffee is a given, the one thing you (unfortunately) can't always guarantee while travelling is that this will be the case. After all, how many times have you been craving a caffeine hit, only to be served a cup of something that resembles murky mud water? With that in mind, a travel cafetiere and a bag of delicious ground coffee is something no traveller should have to set off without. 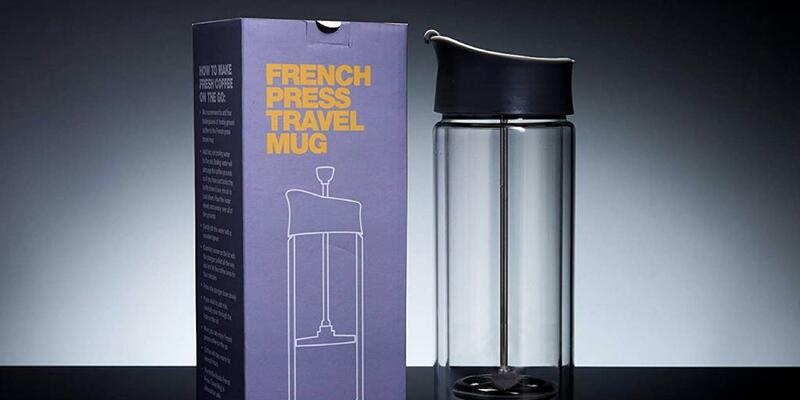 This genius Koala Koffee Travel French press is one of a few out there but probably one of the sleekest, and will ensure that even on the most far-flung of Scottish road trips, you're still the person making their morning just that bit better. Now that's a pretty cool thought.